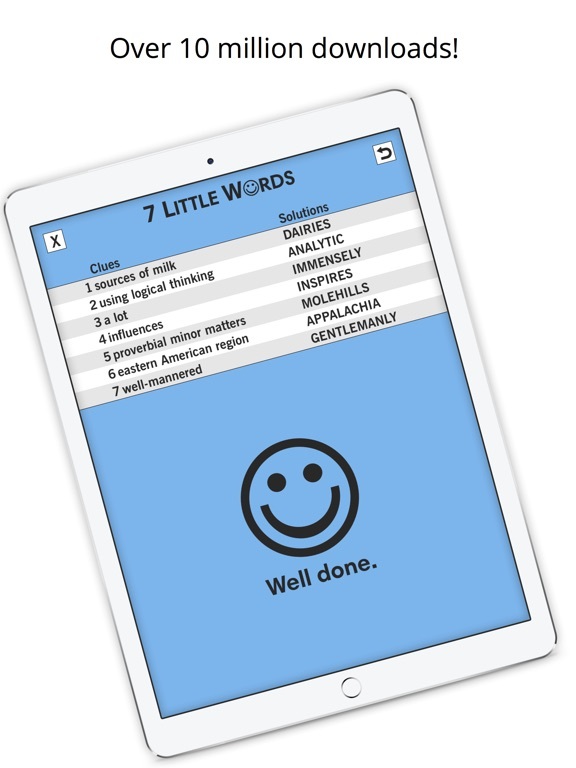 Разработчик: Blue Ox Family Games, Inc.
7 Little Words contains 25 puzzles that you can play for free. 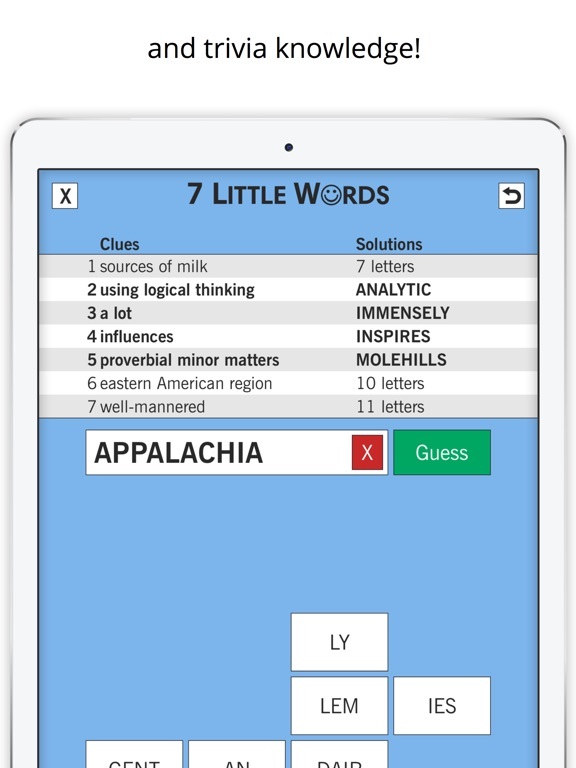 Two new puzzles are available for free each day. 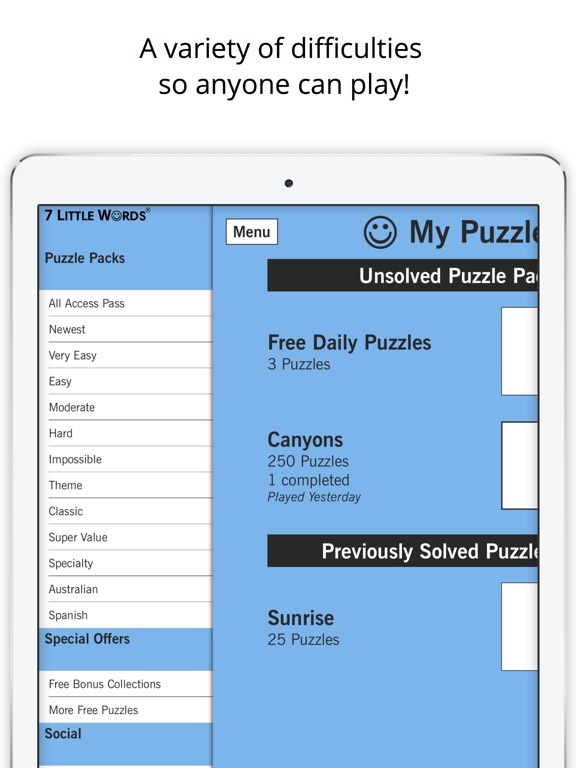 New puzzle packs are added to our app monthly. These may include themed and non-themed puzzles from our 5 difficulty levels, as well as semi-annual Daily Puzzle collections. 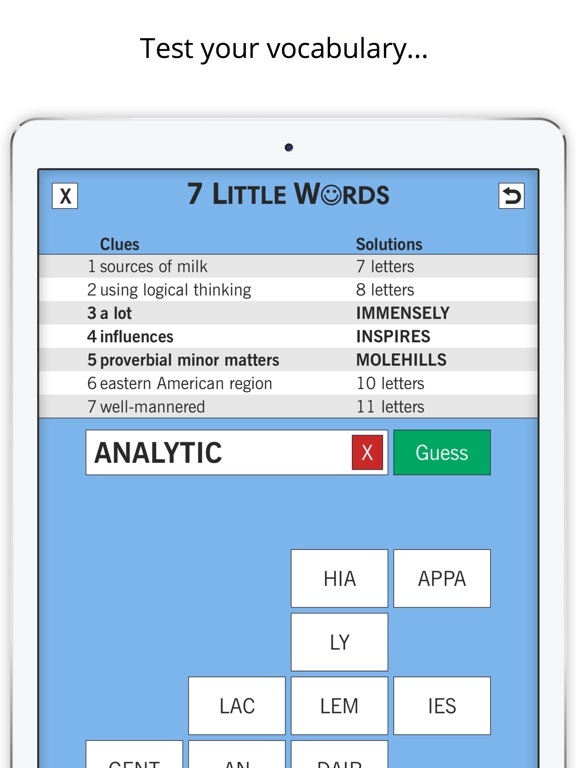 The app also includes more than 10,000 puzzles that have been compiled since the original release of the app in 2011. There are themed and non-themed puzzles of every difficulty level (all available in US and UK English versions), as well as puzzles in Spanish and puzzles written for an Australian audience. 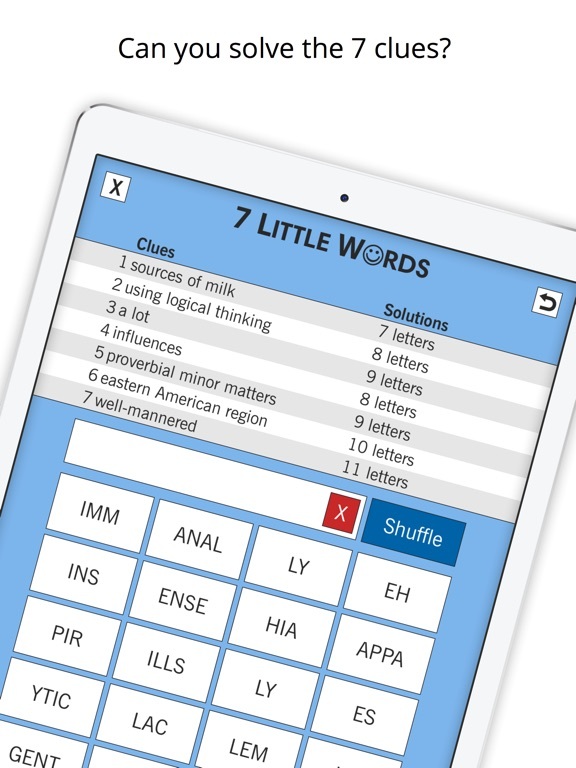 You may subscribe to play our monthly new puzzle packs plus our entire catalog. Subscription options include yearly ($29.99 per year after a 2-week free trial) and monthly ($3.99 per month after a 1-week free trial) subscriptions. The subscription amount will be charged to your iTunes account as an in-app purchase. Your subscription will renew automatically unless you cancel it at least 24 hours before expiration. You can also turn off auto-renew at any time in your iTunes account settings. You may buy individual packs within the app without a subscription. Другие игры Blue Ox Family Games, Inc.